AsiaFest kicked off on Friday, and what a better time for it than now, when spring has begun to coax us out of our winter dens and into the beautiful warm weather. You can only re-watch Friends so many times, right? Right…? Anyway, AsiaFest holds a whole host of activities such as dancing, music, martial arts, more Asian cuisine than you could ever dream of, films, and stand-up comedy. 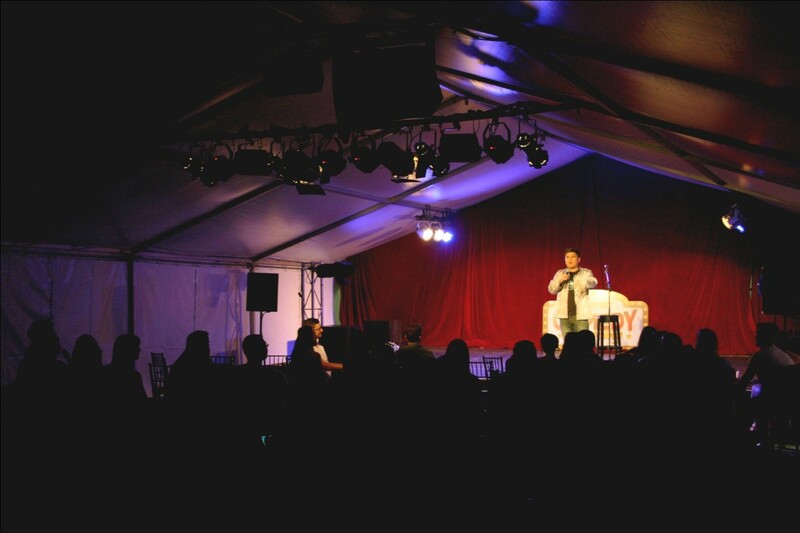 I attended the Monday night session of Comedy Wingding alongside The Adelaidian co-founder and editor, Kristen Byass. The weather had gotten too warm at that point, and as we packed into the White Marquee Theatre, I couldn’t help but wonder I should have gotten one of those stylish folding fans. Jason Chong hosted the event; a clever comedian who, between his compliments on the body shape of a man sitting towards the front (you could really feel the chemistry), did well to interact with the audience and get us pumped for the list of guests they had planned for the night. Priya Malik was our opening act for the Comedy Wingding. You may remember her from Big Brother, if you watch those sorts of things. Priya transformed the negatives of her life, such as stereotypes, racism, and even death threats, and molded them into gags and stories that everyone could laugh at. And sure enough, we did laugh at them. A lot. 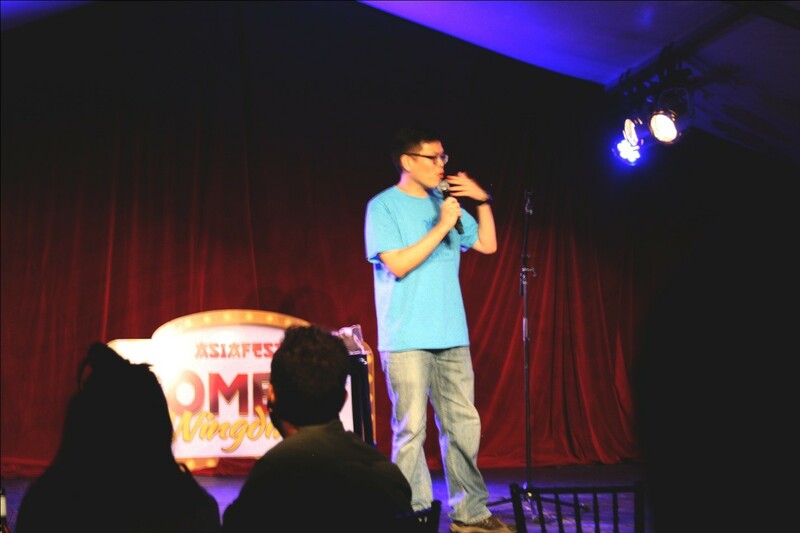 Andrew Chu, who won the 2010 English Funniest Comedian in Hong Kong, had a terrific performance which had the audience laughing non-stop. His impersonations of Australian wildlife were both brilliant and awkward; something that should be experienced first-hand. And although I recommended Kristen approach the stage when he asked for a hot girl to soothe his chapped lips, she didn’t seem to share my enthusiasm. My wingman skills are obviously in need of a fine-tuning. Maybe next time, Andrew! Next up was Kazumi Kusano, a Japanese comedian who, at first, gave me the impression that she was a tad nervous. Unfortunately, there was one unruly guest in the crowd (Some people shouldn’t be allowed into events) who didn’t help the matter, but despite this, Kazumi persevered and was able to give an enjoyable experience for everyone. Jason Leong was the closer for the night. The doctor-turned-comedian flaunted a natural confidence, and seamlessly flowed from one joke to another. Jason’s ability to improv and adapt his stories to the audience displayed a clear talent and passion for the craft of comedy. His act was well-received, and brought about a joyous end to the Comedy Wingding. If you’re interested in attending Asiafest, the event continues on until the 11th of October over at Rymill Park. You can grab some dumplings, have a few laughs at the Comedy Wingding, and even get some tickets to the Full Moon Party coming up this Saturday!